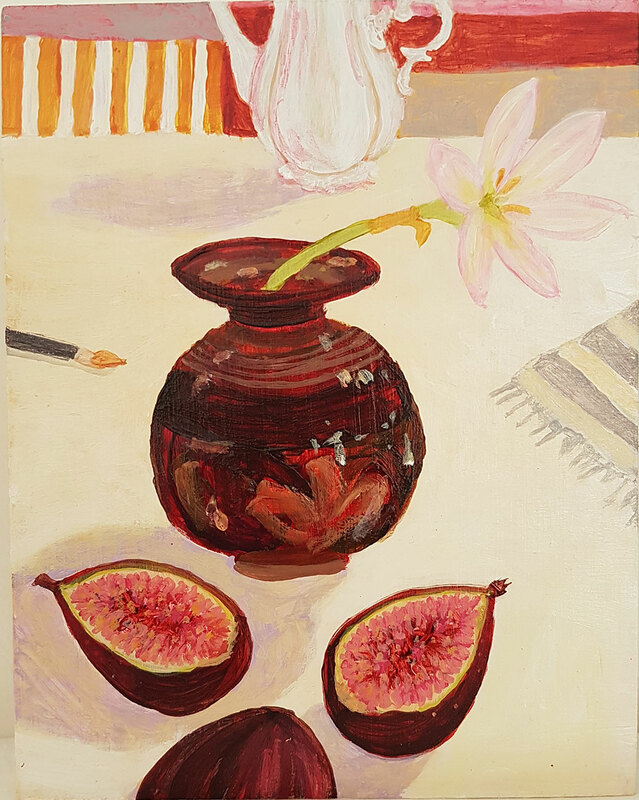 Sydney-based artist, Kiata Mason, is a National Art School graduate – holding a Bachelor of Fine Arts (Painting); Bachelor of Fine Arts (Drawing) with Honours; and a Master of Fine Arts (Drawing). 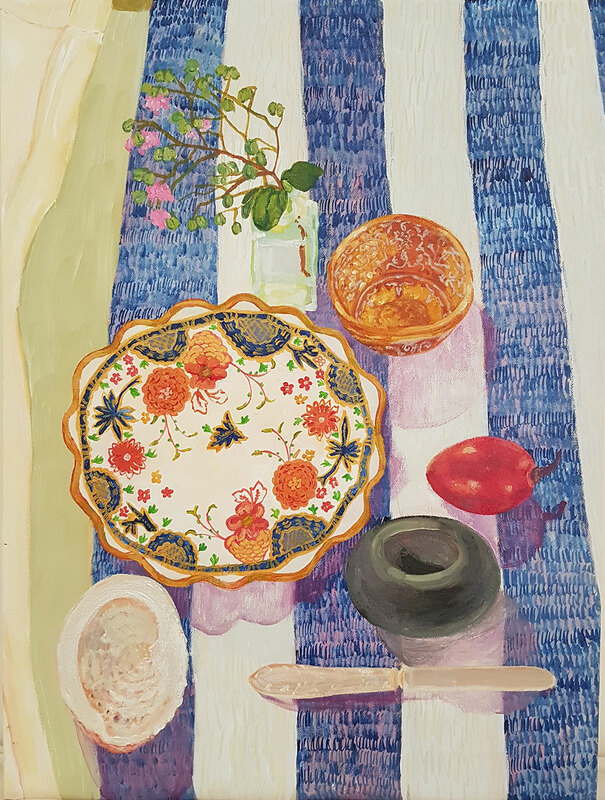 For over 13 years, Kiata’s sensitive works have regularly placed in a multitude of awards – such as the Doug Moran Portrait Prize, Paddington Art Prize, Mosman Art Prize, Blake Prize, Dobell Drawing Prize and many more. 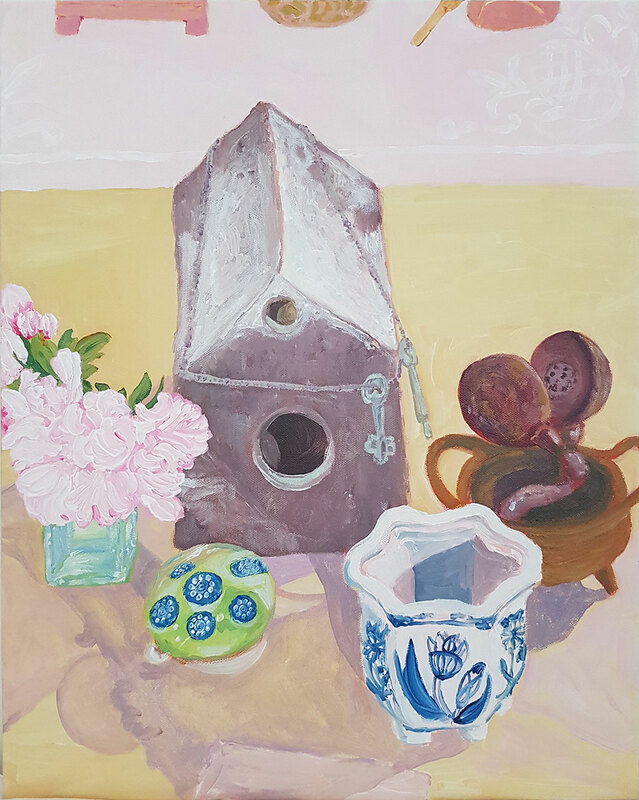 Most recently Kiata is a Finalist in the 2017 Muswellbrook Art Prize. 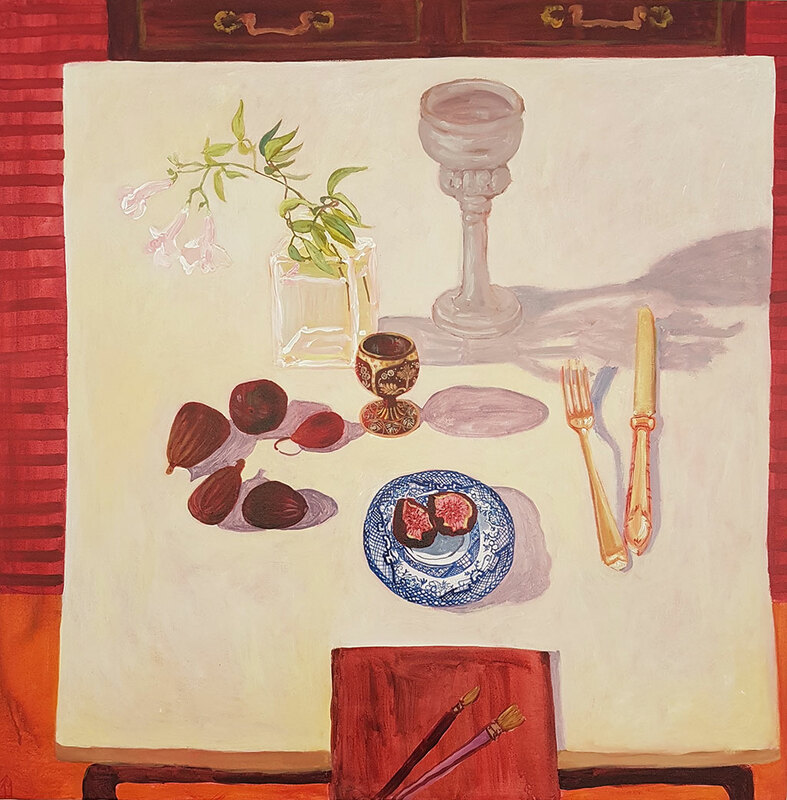 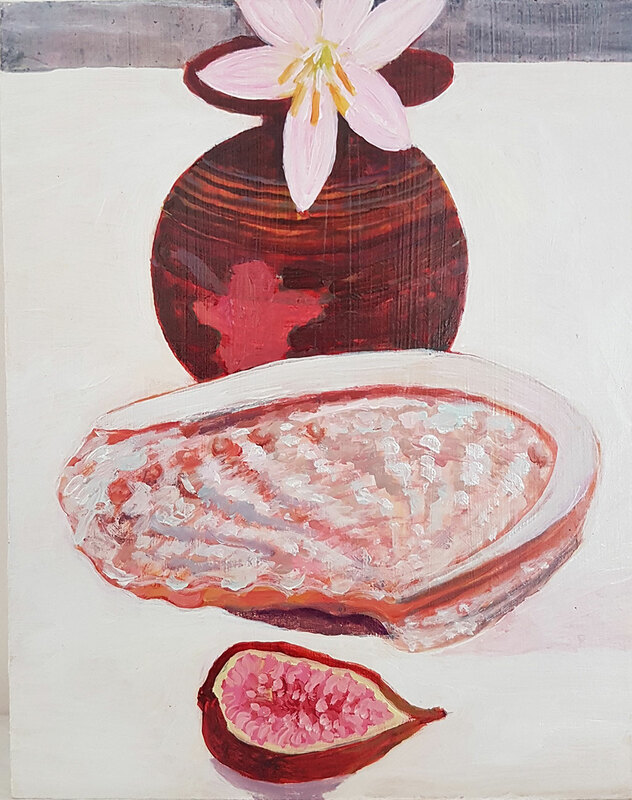 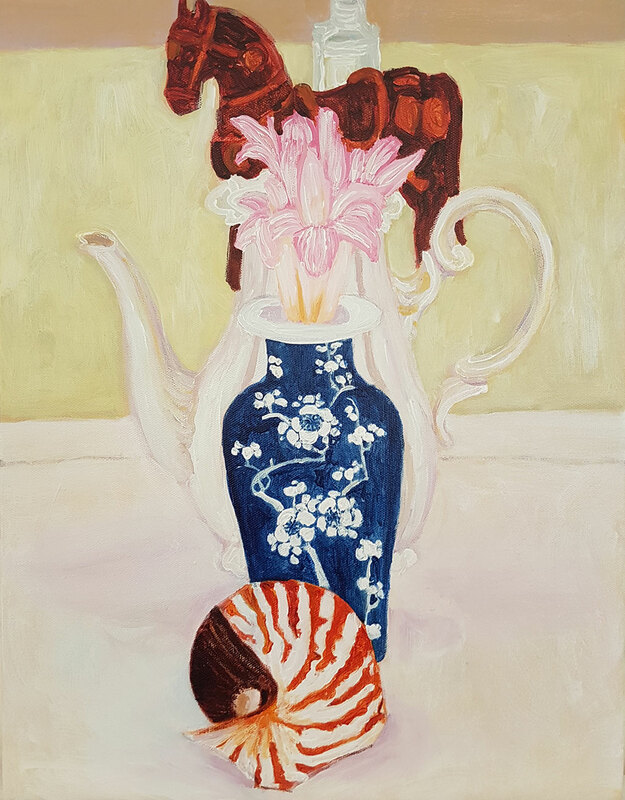 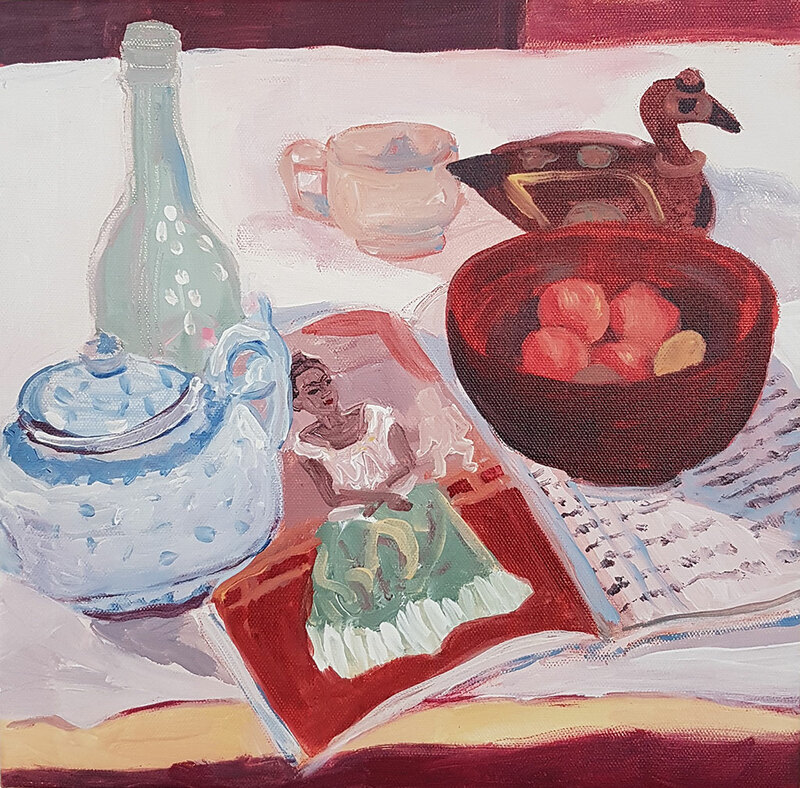 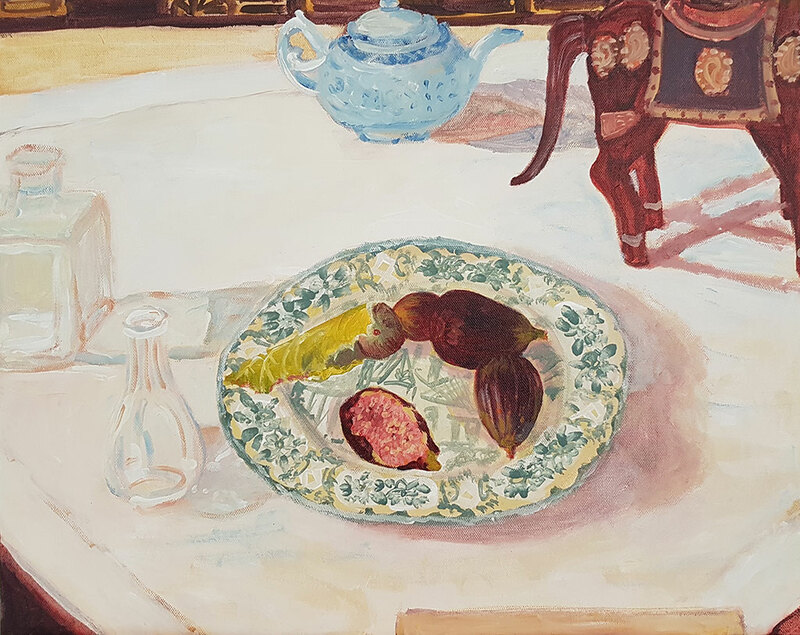 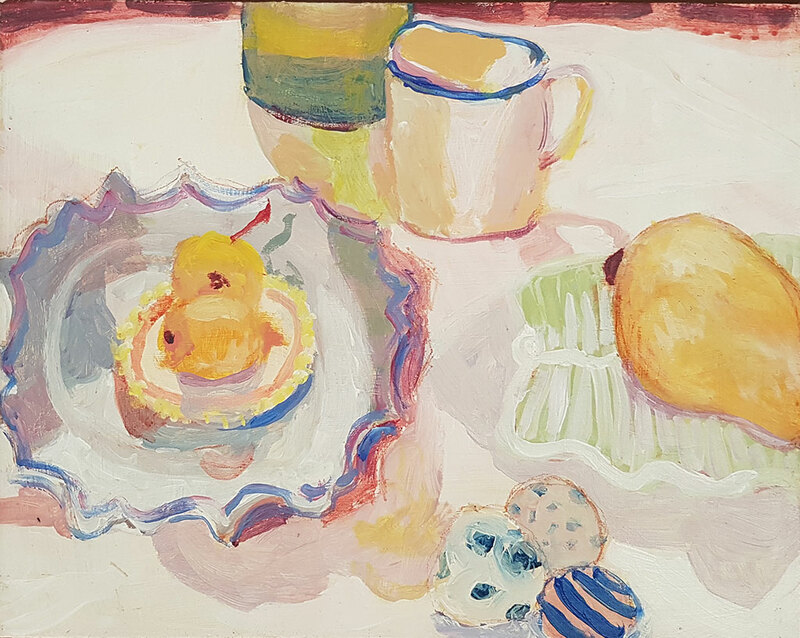 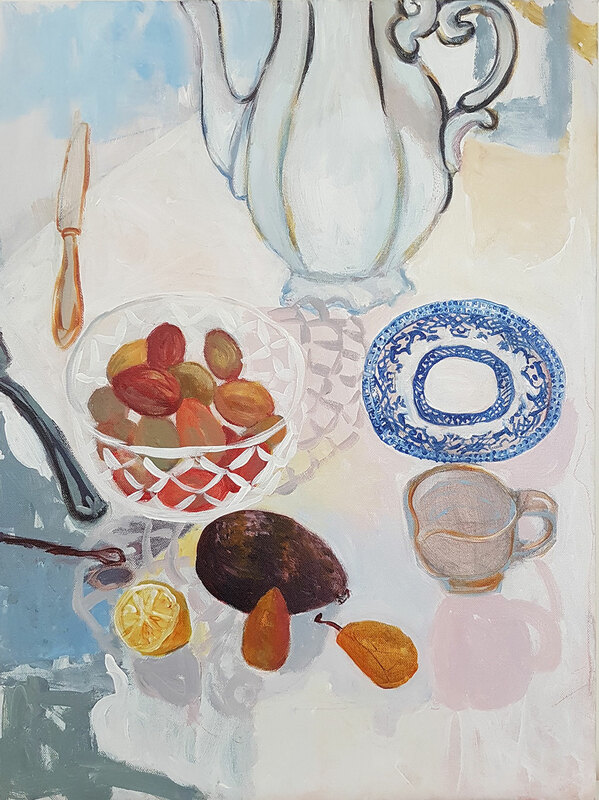 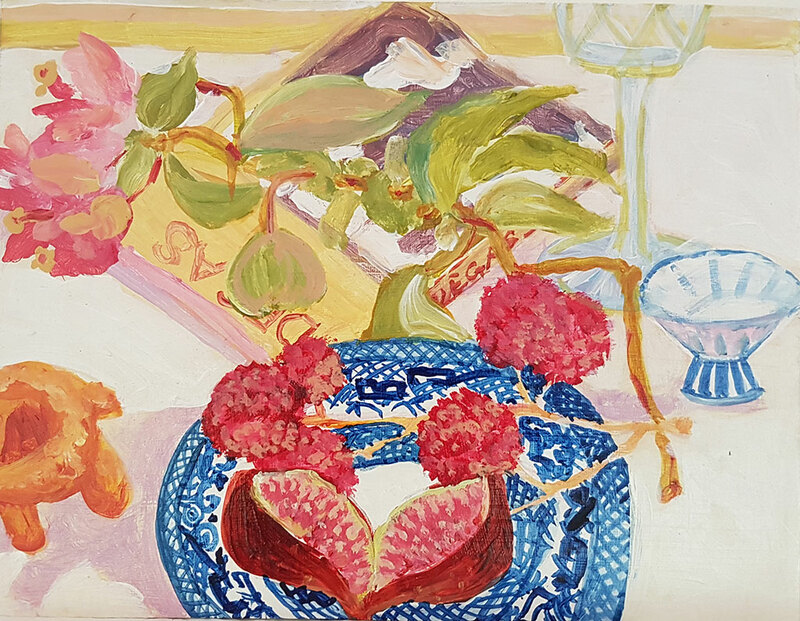 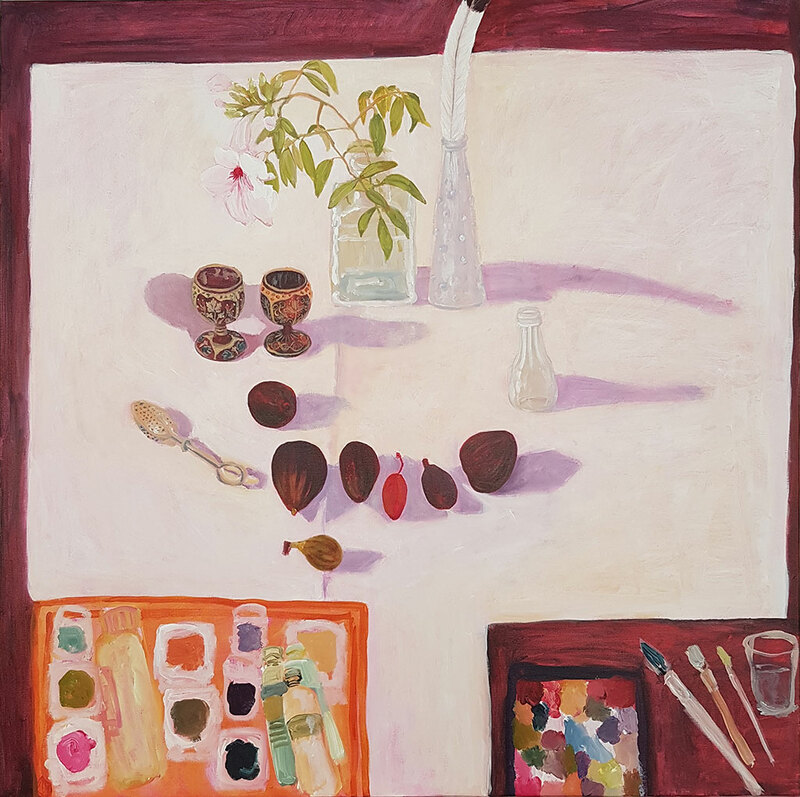 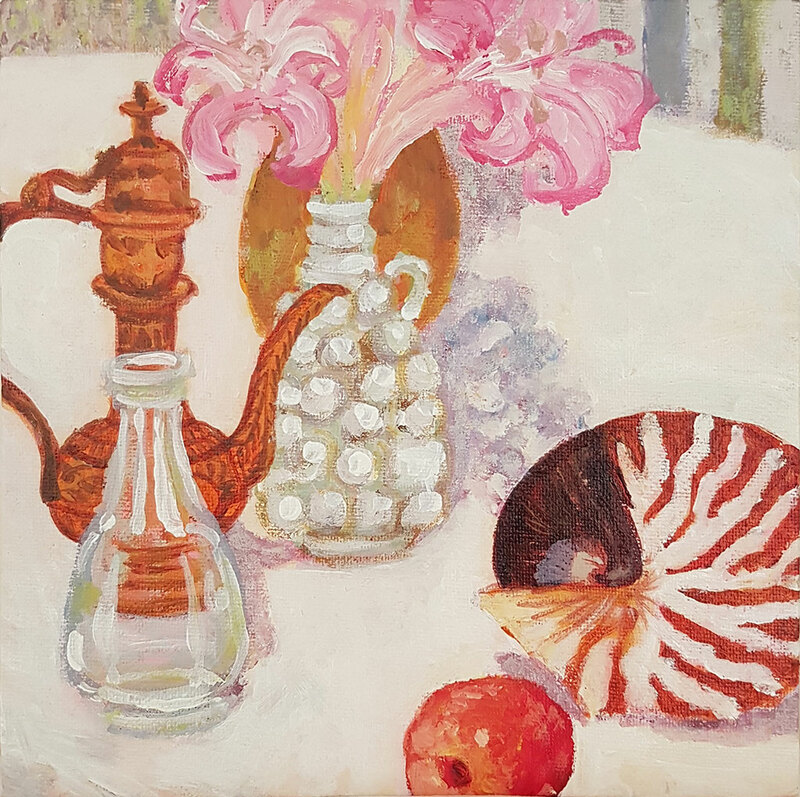 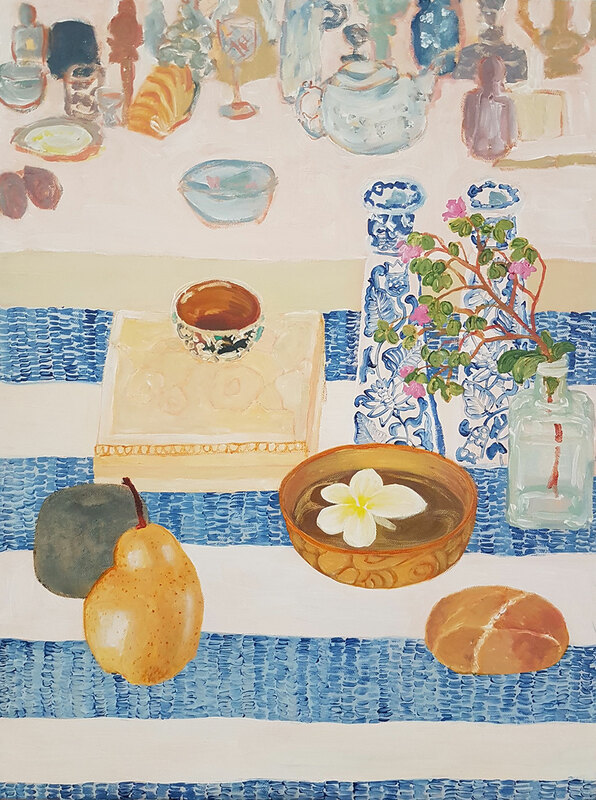 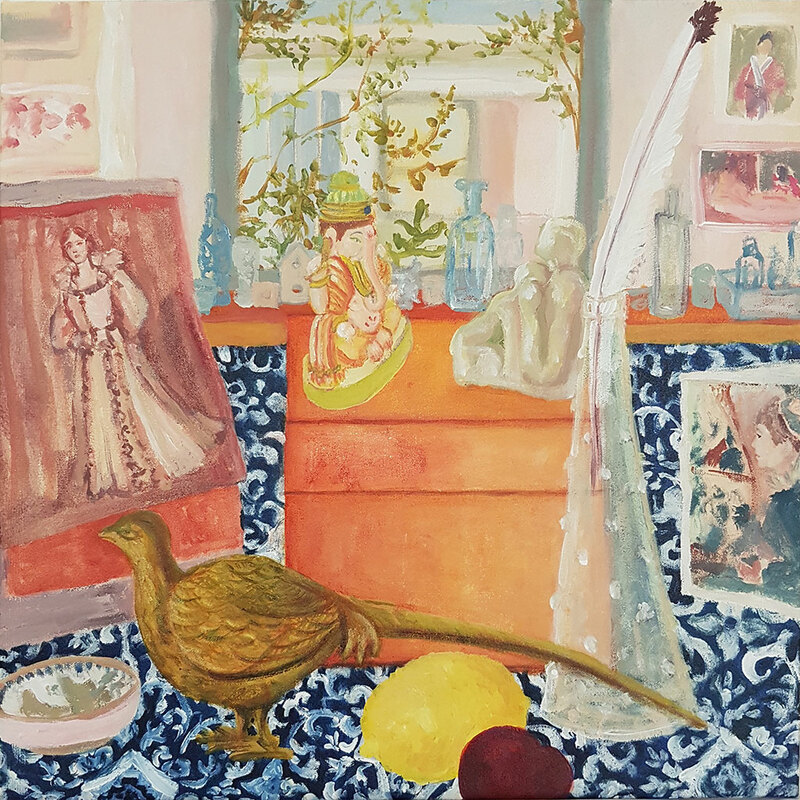 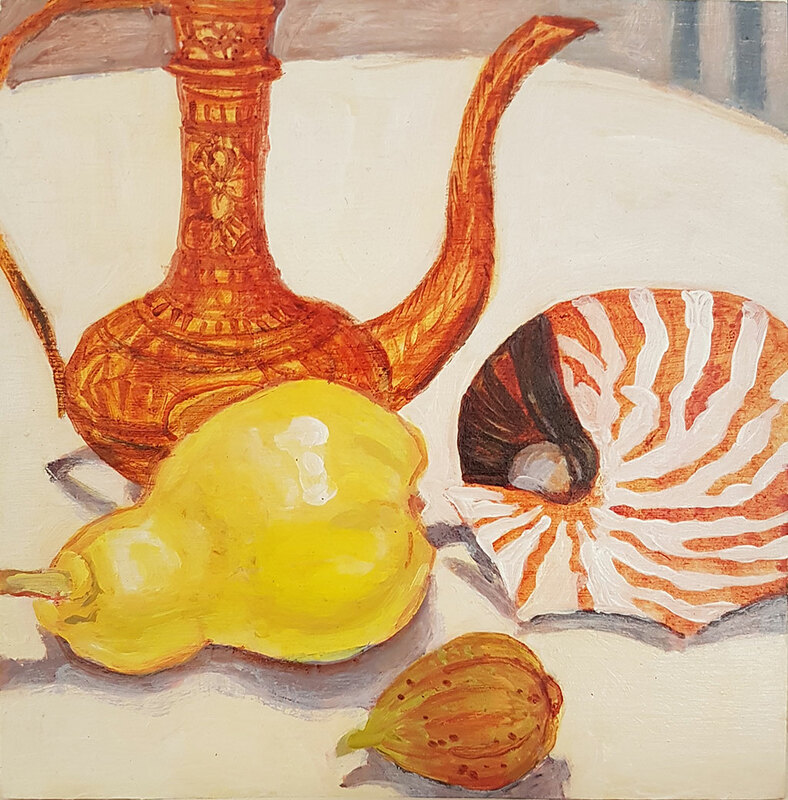 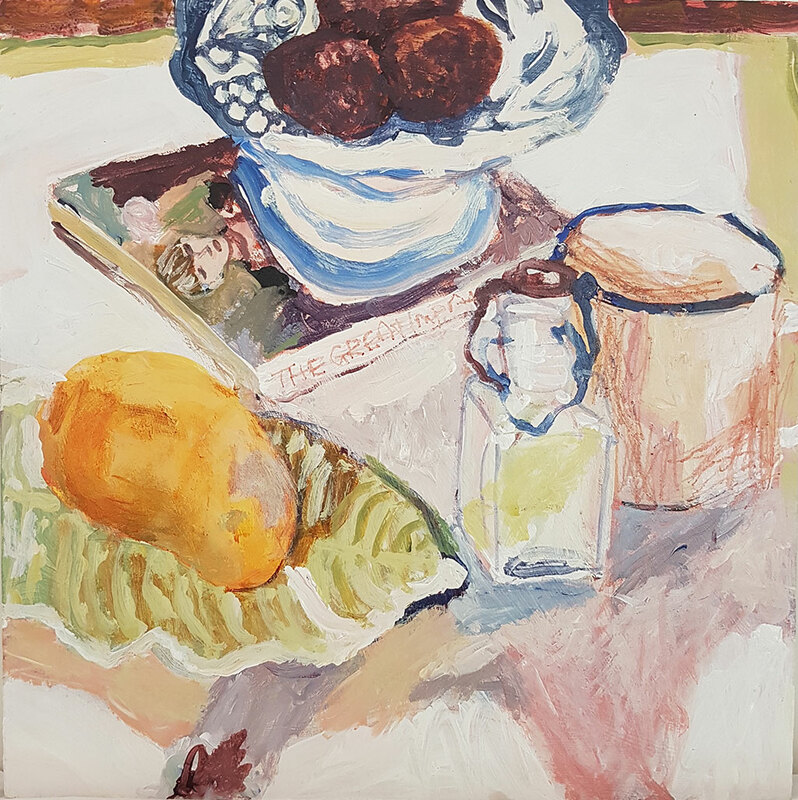 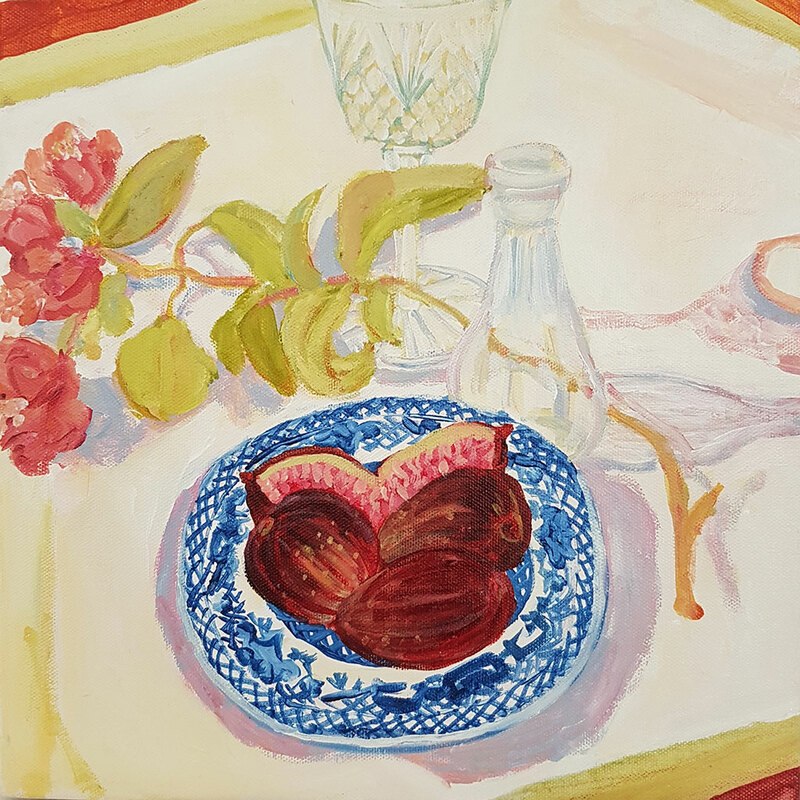 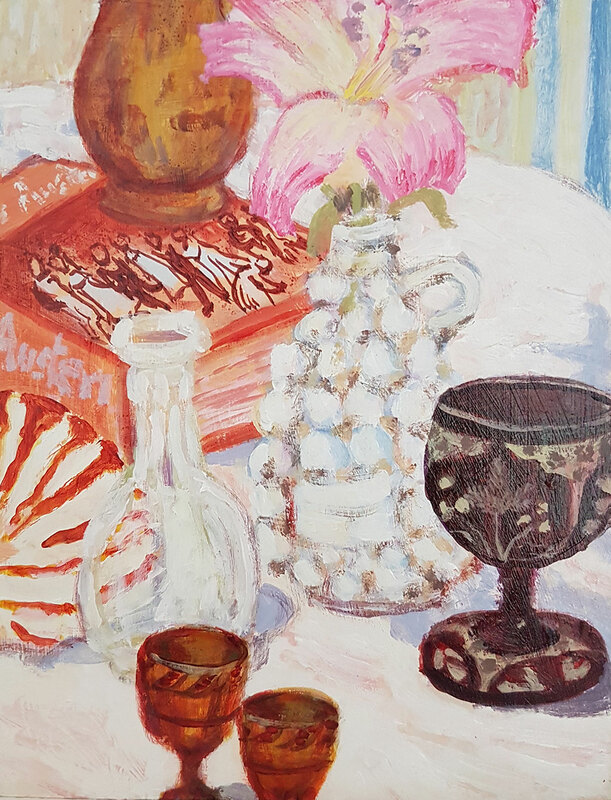 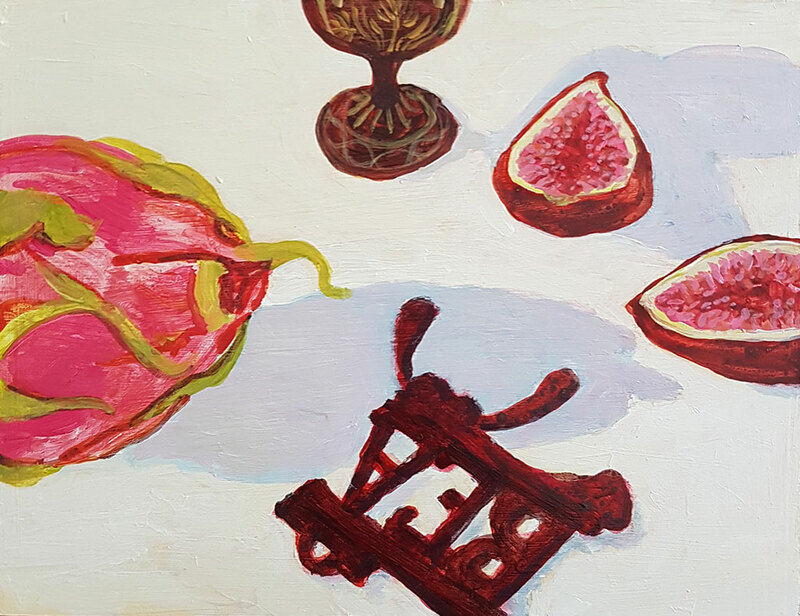 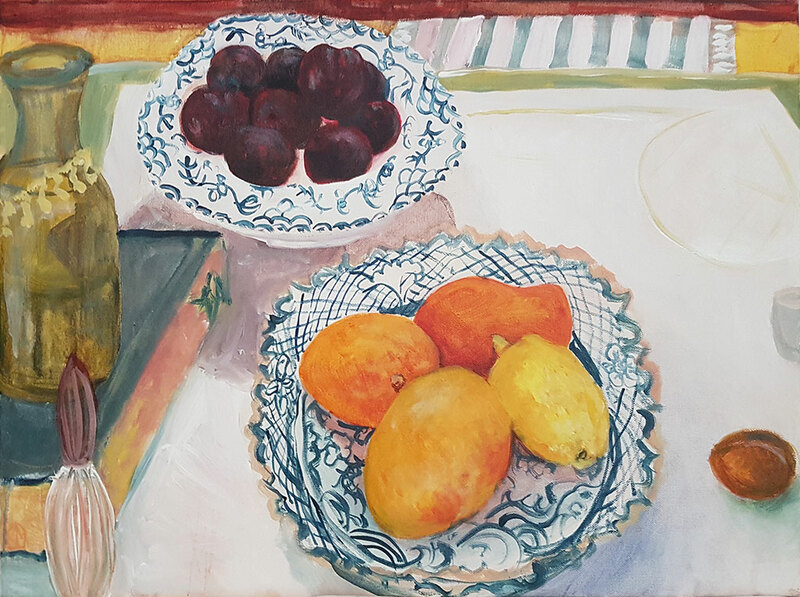 This current series of work revolves around the collections of objects in the artist’s grandmother’s home at Lake Cathie, NSW. 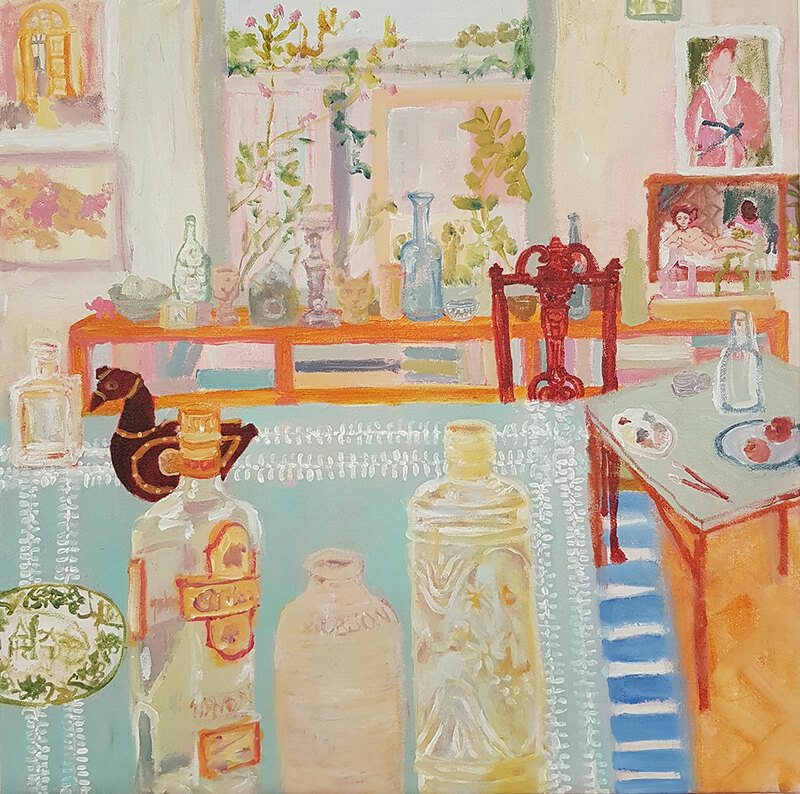 The work speaks of the emotional pull that can be experienced in a room full of the remnants of the long and shared life of a family. 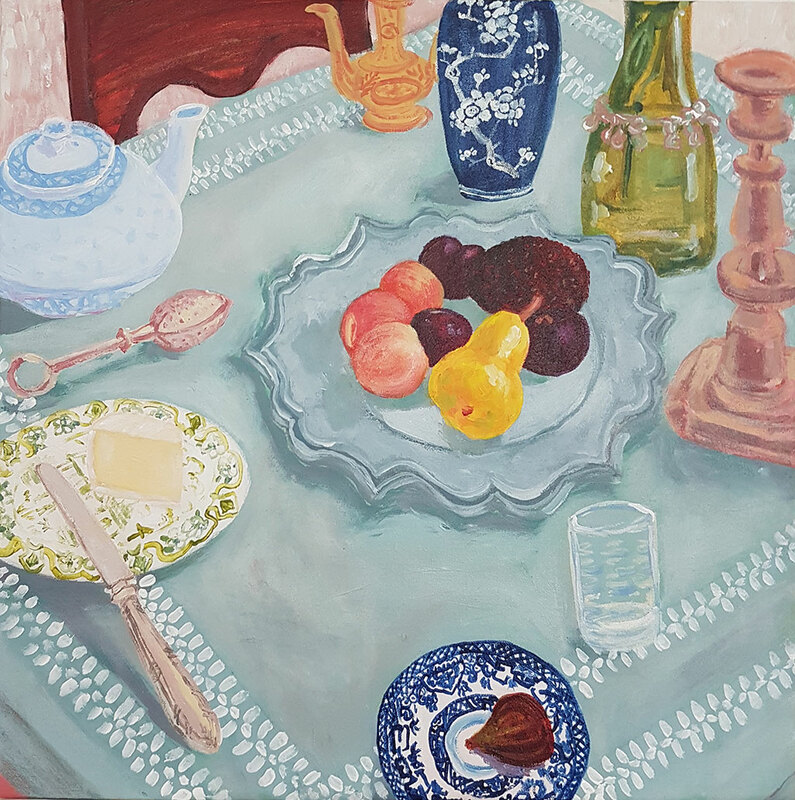 Dispersed, the objects could be seen as bric-a-brac, but united as collections they tell a story of a grandmother’s life: her style, and her love of eclectic things.